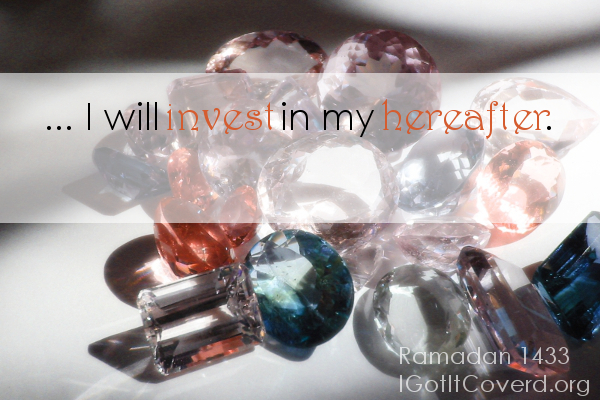 This Ramadan… I will invest in my hereafter. The dunya is an abode of truth for the one who is truthful in it; and it is an abode of safety for the one who understands it perfectly; and it is an abode of richness for the one who prepares his provisions in it. This dunya is the place where Allah’s revelation came down. And it’s the place where Allah’s Prophets prayed and bowed down. And it’s the marketplace for the allies of Allah… in this marketplace, they received Allah’s mercy, and earned His jannah. We need to understand this word for what it truly is: Temporary, yes. Insignificant compared to the next life, yes. But this world is also our only chance to work for a better hereafter, and we should embrace the blessings Allah has given us and treat it as such. List largely taken from http://iskandrani.wordpress.com, which contains a few more phrases; make sure you check out the original post! 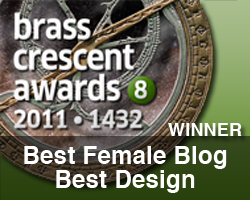 JazakAllah Khair for this helpful article!